The accent stitching of F SPORT front seats contributes to holding the driver during hard sports driving. Together with quilting on the center section, it adds an exclusive F SPORT touch. It optimally controls the steering angle in response to vehicle speed and steering input, helping to realize excellent maneuverability and stability from low through to high speeds. 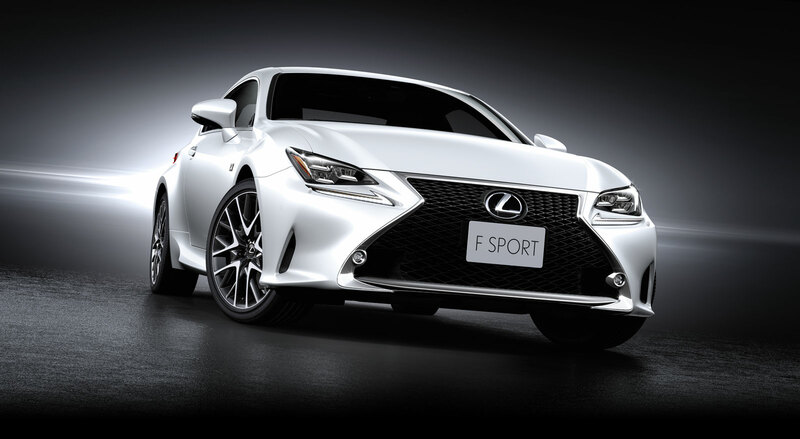 LDH lifts F SPORT driving performance to a higher plane. 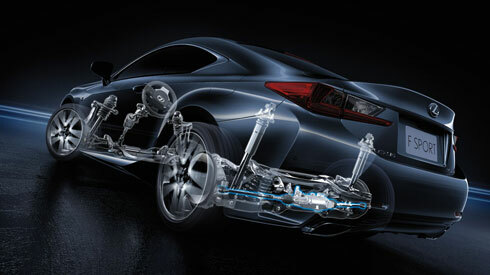 Together with EPS, VGRS and DRS (Dynamic Rear Steering) control all four wheels independently. At low speeds, the system significantly reduces the turning radius for excellent maneuverability. At medium speeds, it enhances yaw response when cornering frequently, such as in city driving, on mountain roads, as well as on the race circuit, for excellent vehicle response. At higher speeds, it helps to reduce body slip while cornering, contributing to driver confidence. The single central 8-inch color TFT meter, which evolved from the LFA supercar, features driver selection of a blue, white or red color for the needle. When the driver activates the multimedia systems, the meter ring slides to the side to display the menus.